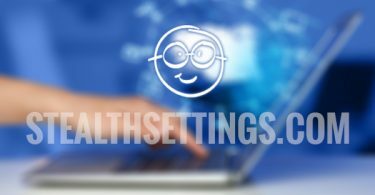 iOS 7, The newest Apple's mobile operating system, Was released 10 days ago and came bundled with many changes and surprises, but with New Sites feature pretty interesting. These include the Background App Refresh, an feature which allows applications to run in backgroundTo perform tasks user data. But this feature is also a very Battery consumer devices running iOS 7. And if you want to increase the battery life of the device Apple equipment, most likely you will want to disable this feature. 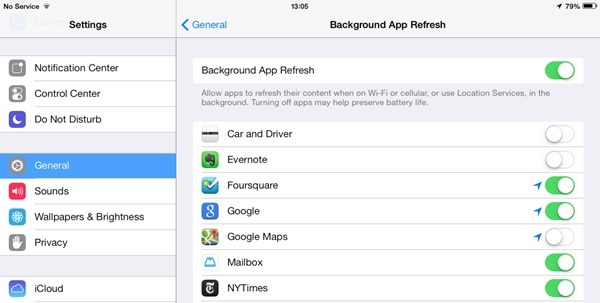 How do I disable the Background App Refresh feature to increase battery life in iOS 7? Next, you should know that disable this feature can be done individually (for each application), so no need to worry about certain applications such as Google Maps or Skype or music player, They will not be able to run in the background if you disable this feature. And ready. After you make this change, you will notice that your device battery with iOS 7 will take longer than when the feature was activated Refresh Background App.